I am currently working on my project for the week and wanted to share a trick that makes attaching sleeves a lot easier. If you are new to sewing, you might find the traditional method of “setting in a sleeve” a bit intimidating. The method below is the easiest way to attach a sleeve since it does not require you to sew the sleeve at the underarm seam and then sew the sleeve into the armhole. Please note that this technique only works on knit fabrics. If you are a beginner, I am including some tips and tricks at the end of this post, so be sure to check it out! Step 2: Pin and sew the sleeve cap to the armhole from side seam to side seam. Step 4: Make one continuous stitch along the underarm seam and the side seam. And VOILA! You are done! Another reason I like using this technique is that it makes alterations a breeze. Let’s say you made something using a new fabric that you have not worked with before. If it ends up being too big, you can easily take in the sleeve and the side seam in one go, instead of picking up the dreaded seam ripper and removing the sleeve and then re-attaching it. If you are using a serger instead of a sewing machine, using a seam ripper is no fun! To sew up any garments that are made with the knit (stretchy) fabrics, I prefer to sew using my Brother 1034D serger. I have been using this one since 2013 and I really love it. It’s a great machine at an entry-level price! 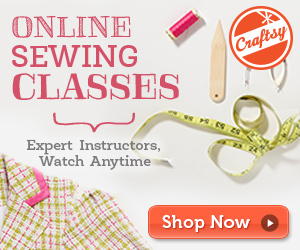 If you don’t have a serger, don’t worry! You can use your sewing machine with a couple adjustments!. I highly recommend using a stretch stitch (or a narrow zigzag stitch) on your sewing machine and also be sure to use a ballpoint needle. This needle is a lot sharper than your universal needle and will make sewing with knits a breeze! If you use a standard universal needle with a stretch fabric, you might experience bunching and ripping. Once I am done sewing my garment, I go back and hem the sleeves, neckline, and bottom hem. Personally, I love to use my Brother 2340 CV Coverstitch machine that I have been using since 2014. I got it for my 36th Birthday (self-gift) and It was the best gift ever!! It is an entry level cover stitch machine at a great price. If you don’t have a cover stitch machine, don’t worry!! You can hem a knit garment on your sewing machine, you just need to have a special needle attachment called a twin needle. Here is the finished top I made using this technique. It is so easy to sew up! You have to try it! I really hope that I inspired you to sew up something new. Sewing is not hard, I promise. It can be frustrating at first, but with every sewing project, you are going to not only gain skill, but you will also build confidence. I am still learning new techniques every day. 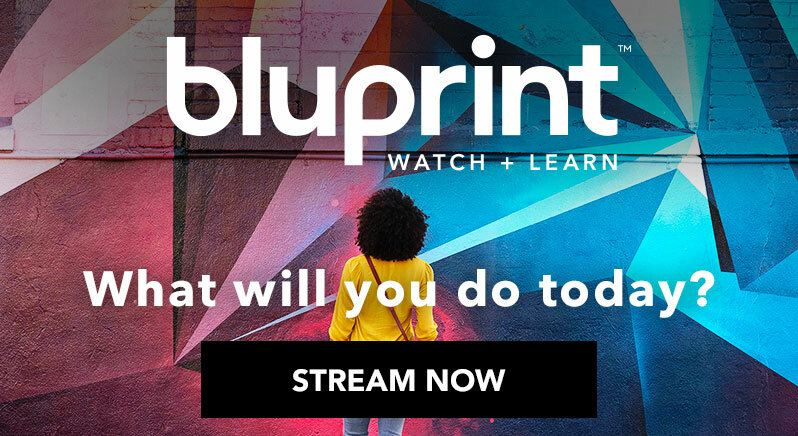 I watch sewing and patternmaking classes on BluPrint in my spare time. I feel like there is so much to learn. So this week I just wasn’t sure what I wanted to work on. I am in a bit of a sewing slump to be honest. Baby and I have both been sick and it just hasn’t been a creative week. But… It’s Wednesday and this is when I start thinking about my sewing project for the week. So… A few weeks ago, I saw this really interesting fabric. It’s a dark red woven fabric, with a small amount of stretch to it. I loved the color of the fabric, but I was really drawn to the texture more than the color. I love texture on fabric. I thought I would make a skirt with it, so I only bought one yard for a pencil skirt, but I am finding myself wanting to make a dress instead. I have already drafted the pattern for the skirt. It’s a simple below the knee pencil skirts with two front darts and two back darts. Now all of a sudden I want to make a dress instead. I want a dress with a peplum, but I don’t have enough fabric, so I am debating between making a pencil skirt, or a strapless dress with a sweetheart neckline, fitted bodice and pencil skirt. To me this is one of the fun parts about being creative. I often end up doing something different from I first imagined. Note to self: Always buy at least two yards of fabric. I also have another fabric that I was using a couple of years ago. It is a red lace overlay over muslin. I really like that as well. It is a UFO (Unfinished Object). I had cut out the fabric from the dress and was ready to sew it up, but I was pregnant at the time and had started gaining weight, so never finished it. Right now I am not sure exactly what I will end up making by the end of the week.. but it’s either a red dress or red skirt, or a lace dress or lace skirt. Excited to work on this project! I’ve never worn a red pencil skirt, so I am excited about the finished product! Happy V Day Peeps. Hope everyone is celebrating their loved one! My next project: a fitted tee with 3/4 sleeves. I usually don’t sew with knits, because I am one of those people who finds knits intimidating. This is unusual because most people find knits easier to work with as they are more forgiving. They stretch and hug the body so the stitching doesn’t have to be perfect. Wovens don’t behave the same way, and every little imperfection and pucker stands out. So why do I prefer to work with wovens? I guess because I am more technical than artistic. I treat patternmaking and sewing more like a science than an art. I need my fabric to behave itself and be predictable. This is something I can never get from a knit fabric, especially given that every knit stretches and drapes differently. But.. I am on a RTW Fast and I would like a nice comfy and somewhat dressy tee.. so I decided to make one. The pattern is self drafted. I am going with a scoop neckline, which I find very flattering, and 3/4 length sleeves. I have 2 jersey knits in my fabric stash. One is grey, more like a thick t-shirt material and the other is a light brown. I am not sure which one I am going to use yet. Maybe I will make one in each color. Not sure how I am going to dress it up, but i might add a double bow to the left shoulder or some ruffles. I am currently working on my next sewing project for this week. I have been wanting a black and white polka-dotted skirt for the longest and have been unable to find the fabric locally. I am sure I could easily find it online, but I love the experience of going fabric shopping and being able to touch and feel a fabric before purchasing. I also find it very inspiring to be surrounded by yards and yards of fabric. Since I never have luck finding that particular fabric in the apparel section at my local fabric shops, I browsed the quilting section, which has a huge selection of cotton prints. The only challenge with this is that the fabrics are usually a lot narrower than apparel fabric and it’s not ideal for fashion design. The fabric is a bit on the stiff side so I am going to pre-wash is and see how it turns out. I highly recommend pre-washing all fabric before cutting to allow it to shrink. This is going to be a 3/4 or full circle skirt with a straight waist band and an invisible zipper. I will be doing a 2 part tutorial on how to draft and make this skirt, so if you are interested, then stay tuned!